Thank you for downloading, listening and subscribing to Business Inspires, a monthly podcast of the TriVillage Chamber Partnership. Our first podcast features a conversation with Laura Oldham, owner of Starburst Media and current president of the TVCP. 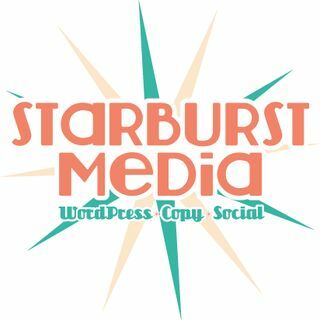 Starburst Media is a digital marketing company that specializes in working with small businesses on their website, copywriting and social media needs. "There’s ... See More really not any predictability, which is something that I thrive on, the constant stress of what might pop up day to day. That’s something that I really like about having my own small business." "When I started I thought it was just going to be copywriting and social media because that’s what I had all the experience in. But every single business that came to me and that I talked to, they all wanted help with their websites. Every small business needed even the simplest website." "At the very beginning the whole goal was to be able to help people like my parents, both of whom own their own small businesses. The big issue that they had was they would want a website but developers would charge them a ton and not be willing to help them when they needed to make small changes. So what I wanted to do was come up with a way to basically empower these small business owners to make changes themselves." Listen to find out about the first website Laura made, for which she got paid in bacon, and how she and her husband fell in love with Columbus during a visit on ComFest weekend. Hear all of that and more on our first episode of Business Inspires! To run a successful business, you need resources, valuable connections and community recognition. Business Inspires will provide you with the tools, resources and examples to inspire you to create the business you are envisioning. A special thanks to Destination Grandview for connecting Business Inspires with Columbus Food Adventures. Grandview Heights is a charming, not-to-be-missed destination in central Ohio. Just 10 minutes from downtown Columbus, this trendy walkable, bike-able neighborhood is brimming with award-winning restaurants and sidewalk cafes, independent craft breweries and one-of-a-kind boutiques.